The Queensland Government is holding a number of forums and consultations around the state to continue the important conversation about the prevention of sexual violence. Monday April 15th – to register, click here. It can affect people of all ages, genders, backgrounds and can occur anywhere. Sexual violence can often have a far-reaching health, social, emotional and economic impact on survivors, their families, friends, workplaces and communities. While there has been progress, more work is needed to change attitudes, prevent sexual violence from occurring, and to provide better support for survivors. The Queensland Government strongly believes sexual violence is unacceptable and is committed to preventing and responding to all forms of sexual violence in our communities. Community organisations, leaders and interested members of the public are encouraged to attend the forums and share their thoughts and experiences. In addition to the forums, local services will be utilised to hear from survivors about their experiences in a safe, open and supporting environment. 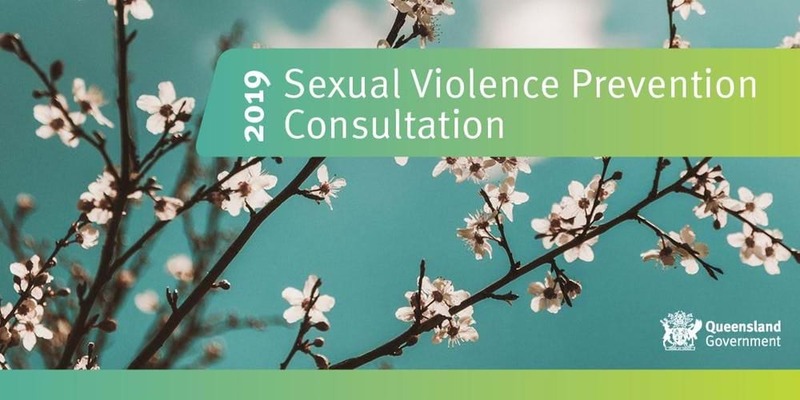 Community members can help contribute to the development of sexual violence prevention framework, between March 25 and April 30, by completing an online survey. Young people aged 12-25 will also be able to share their perspective and ideas by visiting the sexual violence prevention consultation project on the Youth Engagement Hub.